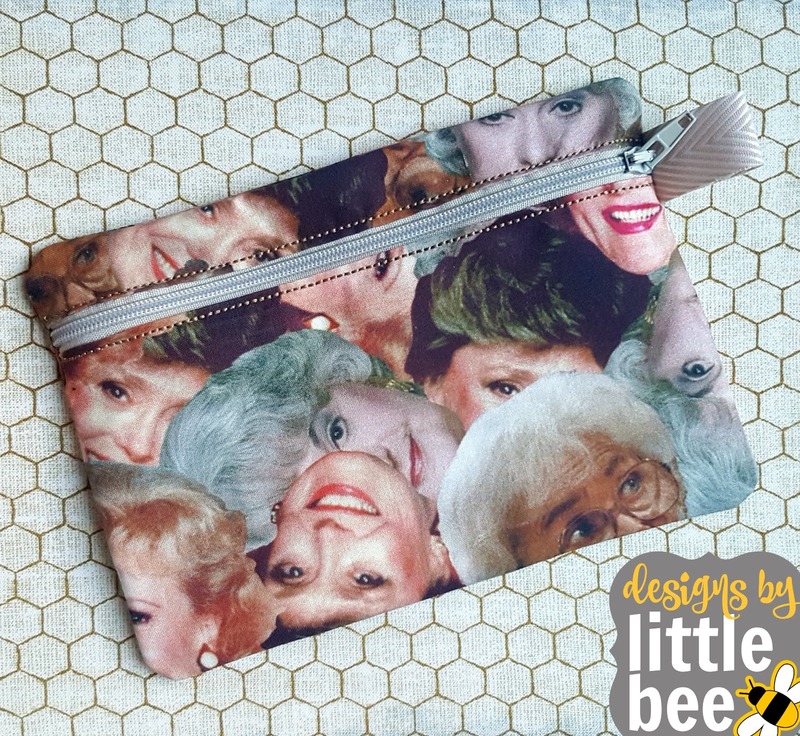 I’ve been really busy working on bunches of zipper bags in different styles, and in my folders on my computer I have been naming them “ITH Zipper Bag 1,” “ITH Zipper Bag 2,” and so on. Needless to say, even I am starting to get confused trying to remember which style is which without going into the folder and looking at the pictures or reading the tutorial to remind myself. I decided to create a handy guide to the styles of bags that I’m working on, so you can choose the one that works best for your purpose and I can continue updating the post as I create more designs! First up is a super quick stitching center-zip bag that has exposed seams on the inside. It’s called Zipper Bag 1 and is great to jump in with if you’ve never made a bag before, you’re looking for the fastest project possible, and/or don’t care if the inside of your bag has exposed seams. All of these bags shown were made with the exposed seam design. The front halves have the same outer and lining fabric (shown, left, both denim from some old jeans). 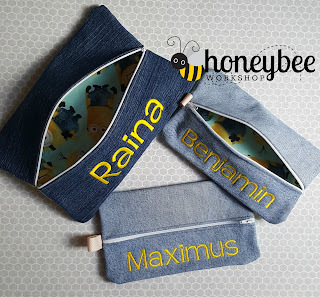 The back lining and back fabric can be the same or different (shown, left, Minions fabric for the back lining and back fabric). 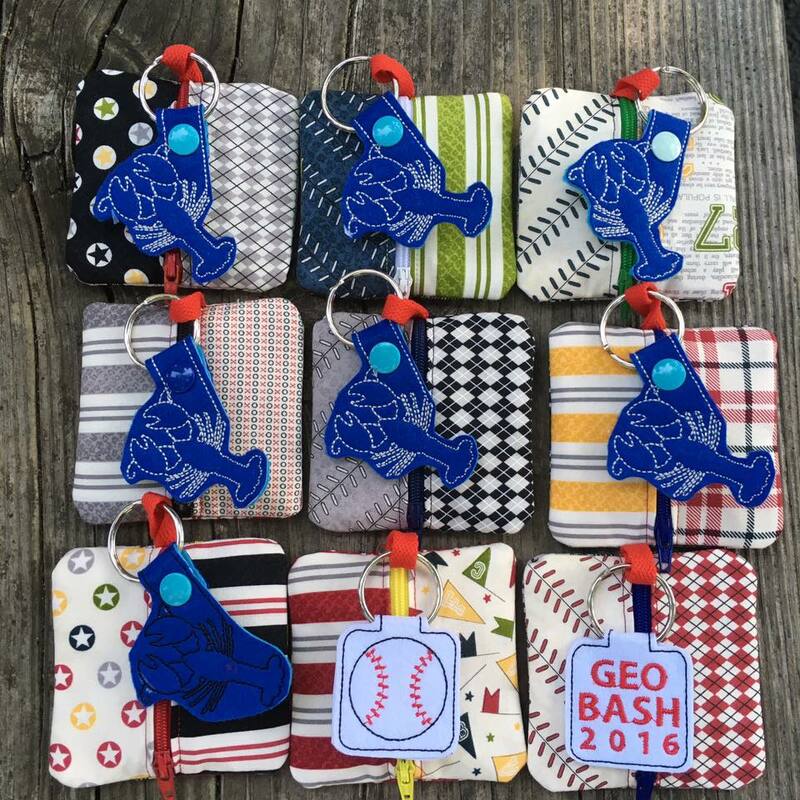 Sizes included are 4×4, 5×7, 6×10, and 8×12. ZIPPER BAG 1 is available for purchase here. Zipper Bag 2 is the exact same as Zipper Bag 1, with the front halves same on inside and outside, and the zipper down the center. But thanks to one extra turning step and some hand-sewing or fabric tape, this bag features no exposed seams. Sizes are 4×4, 5×7, 6×10, 7×12, and 8×12. 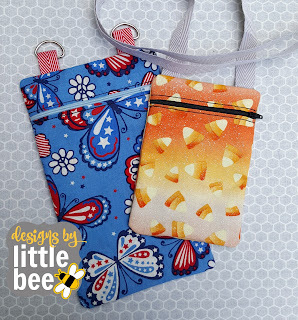 ZIPPER BAG 2 is available for purchase here. 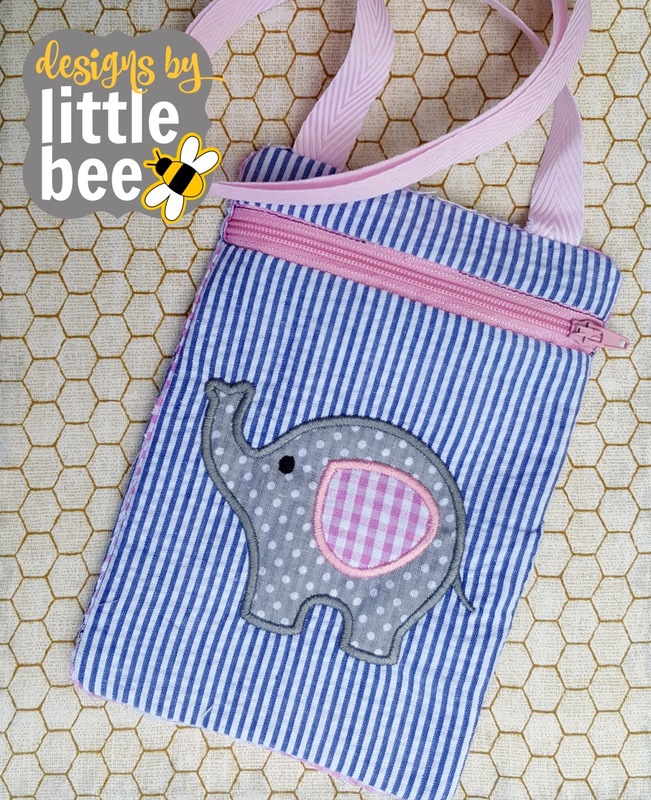 You’ve probably seen this one featured as an adorable baby shower gift as the 6×10 version fits a very small pack of travel wipes perfectly! Zipper Bag 3 features no exposed seams and inner lining to match the front pieces. However, the zipper goes across the top of the bag, making this a great little cosmetic bag! 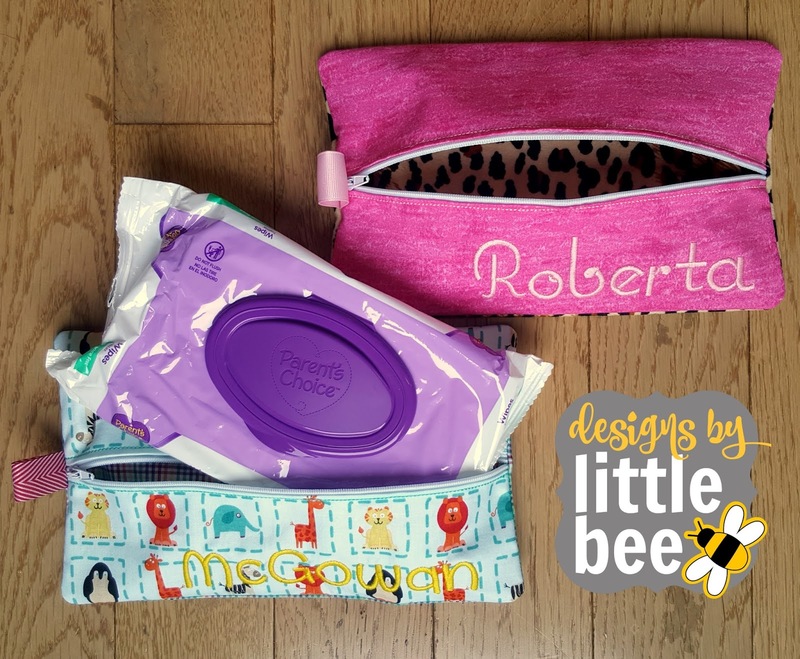 If you’ve got some PUL fabric handy, whip up some wet bags; these are great for wet clothes, swimsuits, and wet nappies for families who cloth diaper! 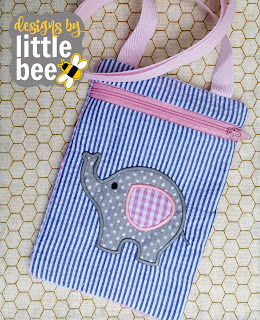 There are two turning steps, and some hand-sewing or fabric tape, this bag features no exposed seams. ZIPPER BAG 3 is available for purchase here. The Kayleigh Crossbody Bag is completed in the hoop with no exposed seams, and a detailed instructional .PDF. 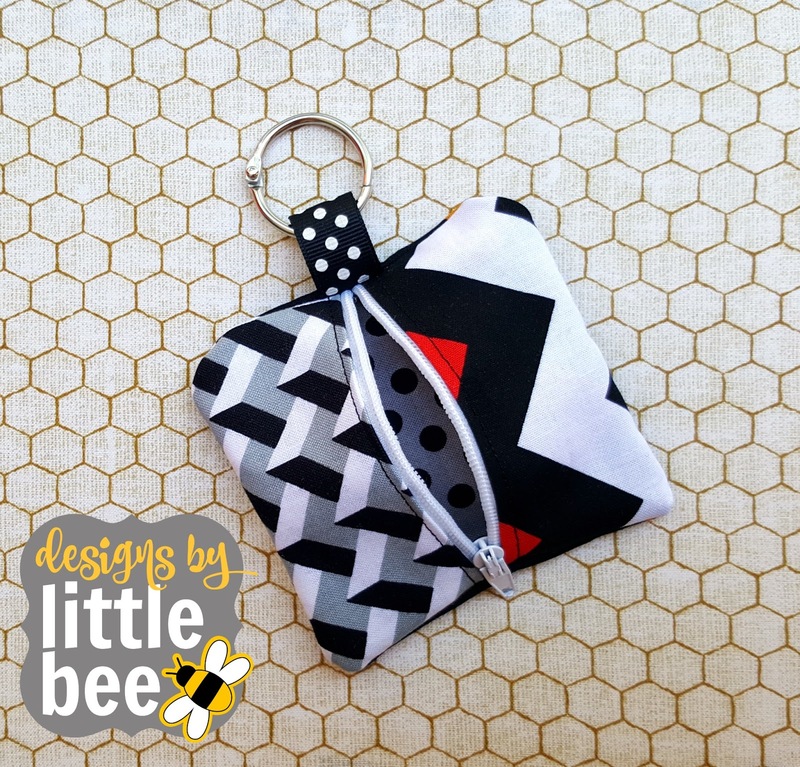 Included in this download is also a .PDF tutorial called “Creating Bag Straps” which details three methods of making awesome bag straps for this or any other project! The Kayleigh Crossbody was created so that you can use one piece of fabric for each front piece – folded over so the front is the same as the front lining. Then a piece of fabric for the back lining and a piece of fabric for the back. 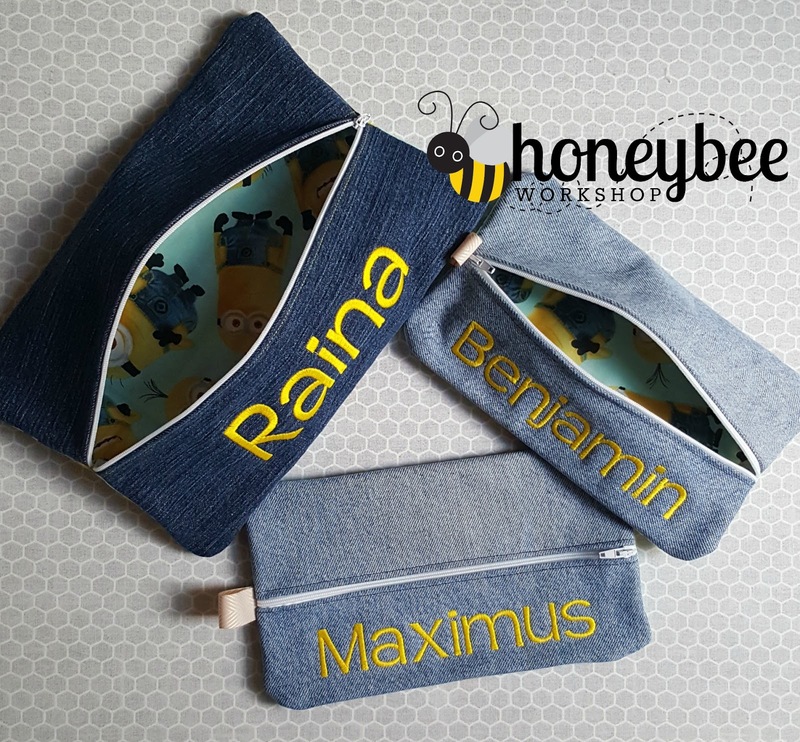 It’s SUPER fast stitching – it’ll take you longer to cut the fabric and read through the instructions than it will to stitch. Sizes are 5×7, 6×10, and 8×12. The Kayleigh Crossbody is available for purchase here. The Roberta crossbody takes more time to prepare fabrics and stitch, but it was created with personalization in mind: you can monogram, applique, or otherwise embroider on the large front panel and the purse is still fully lined with no stitching shown on the inside. Included in this download is also a .PDF tutorial called “Creating Bag Straps” which details three methods of making awesome bag straps for this or any other project! The Roberta Crossbody is available for purchase here.